Now there is a great look at how Motorola is planning to steal customers from RIM and its Blackberry handsets with the new Droid Pro that we are expecting to hit stores on November 18th. Exact form factor, almost identical keyboards, global roaming capabilities plus Android and a bigger screen has this device positioned to be an instant winner with the business crowd. 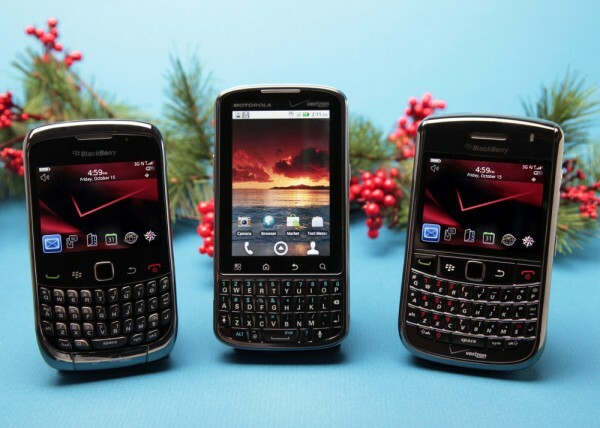 While it may not appeal to all of us 4.3″ screen loving fools, you have to admit that if you had the choice of these 3 devices, you would lean towards our family member. While I don’t necessarily have a use for this device, I have a half dozen friends that can’t part ways with their Blackberries because of the damn keyboard. You know exactly what I’ll be showing them come X-mas time, right? This device gives Android enthusiasts another selling point when looking to convert smartphones users over. Anyone currently working with a Blackberry? I’d love to know if you plan on switching over to the Android world.